Nicki Minaj‘s ex Meek Mill was at the New York party when the singer’s fight with Cardi B broke out. The two stars clashed at a star-studded Harper’s Bazaar bash during New York Fashion Week last Friday night, September 07, after Cardi accused the “Super Bass” hitmaker of disrespecting her and her baby daughter, Kulture. Further details of the brawl have been emerging ever since, with model Tess Holliday one of the stars in attendance at the bash. 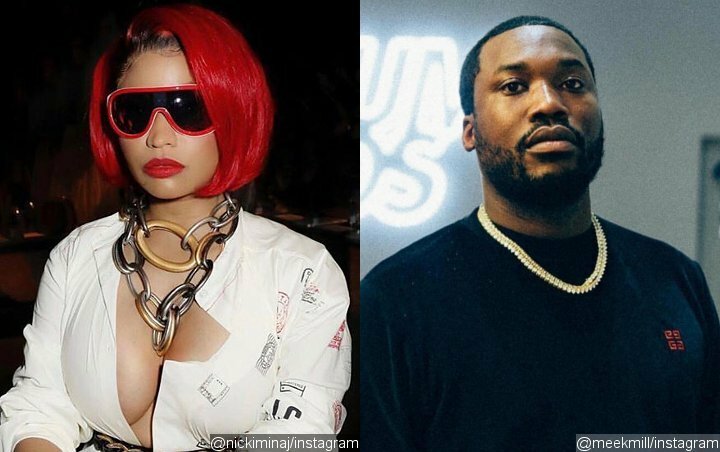 And in a chat with PeopleTV’s Chatter, Tess revealed that Nicki’s former love Meek was also at the party when the altercation began. Tess’ revelation comes after Nicki broke her silence about the incident during her Apple Music Queen Radio show on Beats 1 on Monday, admitting she still felt “humiliated” about their headline-grabbing encounter. Taking aim at reports suggesting she poked fun at her rival’s baby, Nicki added, “I would never discuss anyone’s child.